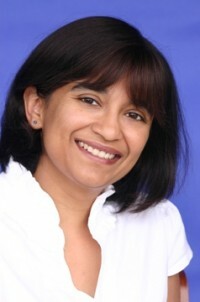 Nalini Singh loves to write, loves to read, and thinks chocolate is a food group. Nalini, thank you so much for stopping by Literary Cravings. If you could sum up Tangle of Need in four words, what would they be? Passionate, emotional, exhilarating, and intense. I tend to start with the characters, but so deep into the series, the overarching story has a powerful presence of its own, so it’s a mix of both. It is such a wide canvas – so long as I stay true to the rules of my world(s), I can go wherever my imagination takes me. Did you do any unique research for Tangle of Need? Tangle of Need features a number of scenes set in Venice – as I imagine it might appear toward the end of this century. However, my reimagined Venice has a basis in fact. I did lots of research on its foundations, the rising water levels etc. Who were the easiest & hardest characters for you to create? I can never choose. Each character is unique, with unique challenges. 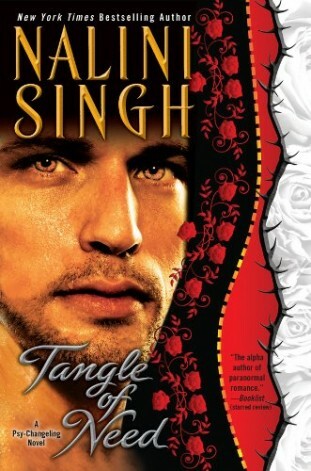 That’s all for Nalini Singh, Adult readers be sure to pick up Tangle of Need out now!!! Adria, wolf changeling and resilient soldier, has made a break with her past—to face a devastating new challenge: Riaz, a SnowDancer lieutenant already sworn to another. For Riaz, the primal attraction he feels for Adria is a staggering betrayal. For Adria, his lone-wolf appeal is beyond sexual. It consumes her. It terrifies her. It threatens to undermines everything she has built of her new life. But fighting their wild compulsion is a losing battle.